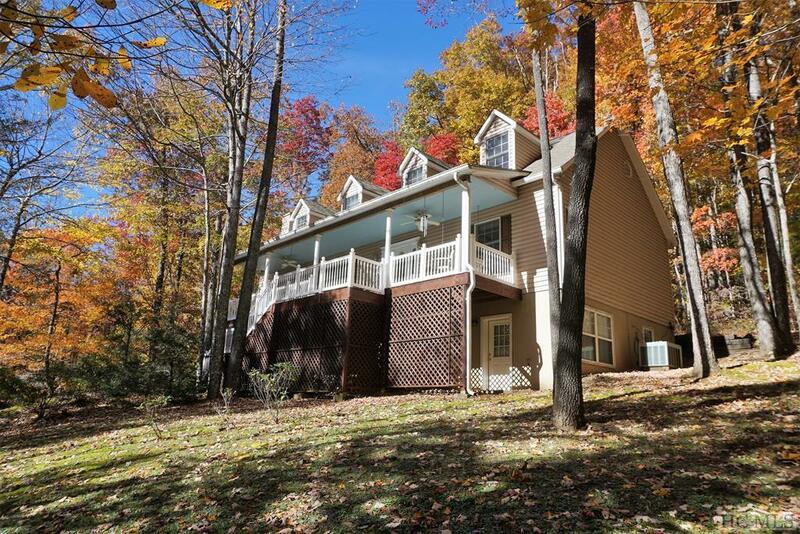 Located in the heart of Sapphire Valley in the Blue Ridge Mountains of NC, this spacious home is located in desirable Holly Forest 11 close to the amenities of Sapphire Valley and the Sapphire National Golf Course. The home is in great shape and is ready to move in and start enjoying! 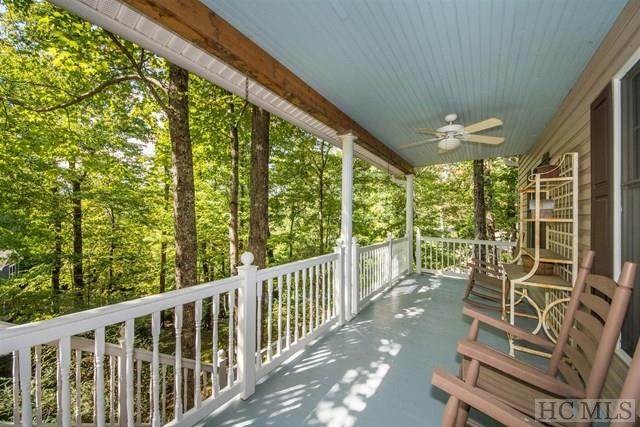 Imagine yourself sitting on the covered rocking chair porch enjoying the sights and sounds of nature instead of the hustle and bustle of city life. 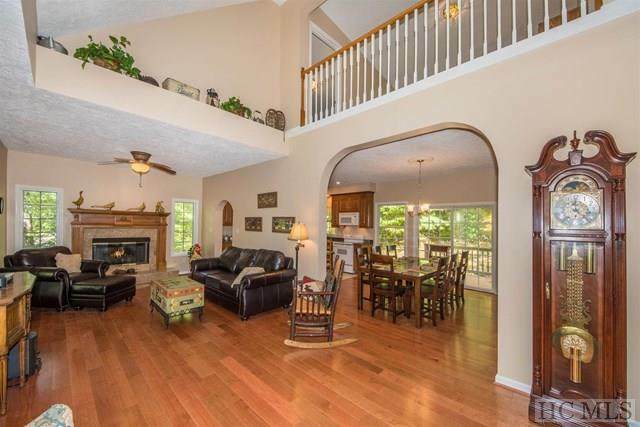 The large living room opens by two archways to the dining area and kitchen. The kitchen bar invites your guest to have a seat so you can join in the conversation while cooking. The dining area opens to an open deck which would be perfect for grilling and dining outdoors. 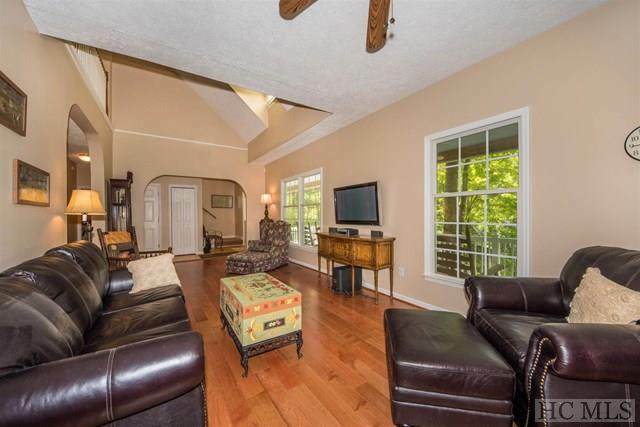 This home offers plenty of space to spread out in with the master bedroom on the main level and two spacious guest rooms and a loft upstairs. The 4th bedroom is on the lower level and would also make a great mother-in-law suite or family room with its own gas stove, full bath and wetbar. There is an oversized two car garage perfect to have a workshop in or for the avid gardener to store their tools. Ownership comes with Sapphire Valley amenities, including golf, tennis, private lake, fitness center, ski slope and much more. There are lots of restaurants to go out to and plenty of boutiques shops in the Village of Cashiers, NC, just a few miles up the road. Venture another 20 minutes and you will find the town of Highlands, NC where there are street lined shops, restaurants and have a cold brew at Satulah Mountain Brewing Company off Carolina Way. The area is full of beautiful places to hike with waterfalls and scenic vistas. This is the perfect home for creating memories for years to come, so call today to schedule your personal viewing.